1 YRS Foshan Chuanhong Trade Co., Ltd.
1 YRS Shaoxing Qingye Textile Co., Ltd.
1 YRS Changzhou Loyal International Co., Ltd.
6 YRS Hangzhou PHK Knitting Co., Ltd.
2) Widely used in garments, clothing and dresses. 3) Plenty variety of designs and colors. If you are interested in our fabric, pls contact us without hesitation. 1 YRS Ty Textiles Co., Ltd.
5 YRS Changzhou City Sanmiao Textile Co., Ltd.
1 YRS Guangdong Asiatex Textiles Co., Ltd.
15 YRS Jiangsu Yingrui Industries Co., Ltd.
1 YRS Shaoxing Keqiao Junjie Textile Co., Ltd.
5 YRS Shaoxing Great Textiles Co., Ltd.
3 YRS Guangzhou Keete Textile Co., Ltd.
3 YRS Shaoxing City Fudao Import & Export Co., Ltd.
- will provide mass production sample before delivery; - will try our best to help cliets when problem occurred. Q : Is it possible for me to receive a sample first9 A : Sure we can send you samples to check quality. You can choose printed cloth swatch or have your own design printed as a sample. 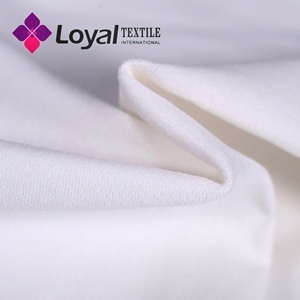 Our Cotton Spandex Jersey is a soft and stretchy fabric made from 95% cotton and 5% spandex . Yarn Count 32S Gram Weight 170GSM Width 60" Use T-shirts, intimates, loungewear, and baby apparel, ect. It&rsquo;s the perfect basic stretch cotton for a variety of projects like t-shirts, intimates, loungewear, and baby apparel. 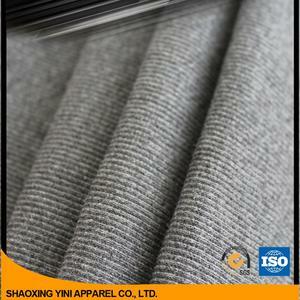 3 YRS Shaoxing Rainbow Textile Co., Ltd.
1 YRS Zhaoqing City Dingsheng Textile Dyeing Co., Ltd. 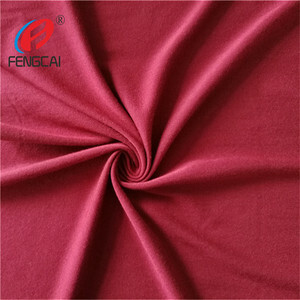 Solid dyed or printed spandex cotton twill. Below table shows all fabrics we make. We have a yearly output capacity of 120 million meters fabric. 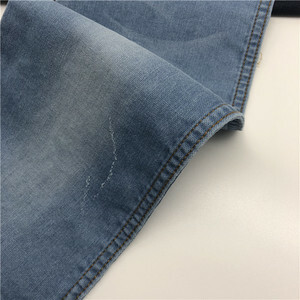 1 YRS Shaoxing Shalan Textile Co., Ltd.
We can ensure regular fabric in stock, in order to shorten the delivery period, and provide you with better service. How to contact us9 Select one product you are interested in and leave us a message. You can contact the sales track the schedule of your order, and also can visit our factory check your order freely. 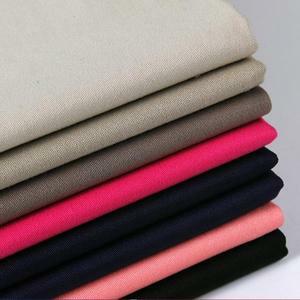 1 YRS Foshan Smarter Textile Co., Ltd.
2 YRS Shaoxing City Yehua Textile Co., Ltd.
Alibaba.com offers 67,159 cotton stretch products. About 10% of these are knitted fabric, 9% are spandex fabric, and 6% are denim fabric. 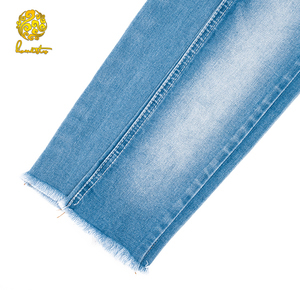 A wide variety of cotton stretch options are available to you, such as garment, sportswear, and lingerie. 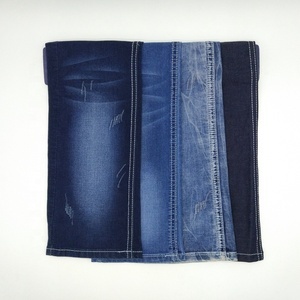 You can also choose from denim fabric, jersey fabric. As well as from spandex / cotton, spandex / polyester, and spandex / nylon. And whether cotton stretch is plain dyed, yarn dyed, or printed. There are 67,159 cotton stretch suppliers, mainly located in Asia. The top supplying country is China (Mainland), which supply 100% of cotton stretch respectively. Cotton stretch products are most popular in North America, Western Europe, and South America. You can ensure product safety by selecting from certified suppliers, including 11,525 with Other, 5,476 with ISO9001, and 1,589 with ISO13485 certification.